There is a hard lesson that I think God is trying to teach me. It has everything to do with trials and hardships and what on earth is going on when bad things happen in life. Why does a good God let things like sickness or natural disasters or terrorism or all of the horrible stuff we face in this world happen? Why didn’t Adam Lanza get hit by a garbage truck or something on his way to Sandy Hook that day. Or why didn’t the FBI get some fabulous tip that would have stopped that crazy couple from shooting up a work holiday party a few weeks back? What is the point of sickness? Why do we have things like cancer? This week the cancer thing has been out of control! I’ve stopped counting how many celebrities succumb to it in the last several days. It was getting ridiculous. Why are their so many bad things in our world? I believe God is a good and loving God so why? Why does it all have to be this way? We are His children and it breaks His heart to see us so broken. So why allow us to be broken? You know what? I’m sitting here typing these words without good answers to these questions. I’ll tell you this though, I know it wasn’t God’s original plan. This world wasn’t meant to be this way. Not at all. Then Adam and Eve were deceived and ate that darn forbidden fruit! I sometimes imagine going back to that moment smacking that fruit right out of her hands! UGH! How different the world would be! Violence, hatred, disease, heartache, all of it would just not exist! None of this tells us why God allows any of it. I think it is because He uses it for our own good. I know, it sounds ridiculous. How can loosing a loved one to terrorism be for our own good? God uses those moments, those heart wrenching I’d rather be dead than living moments, the long slogs through illness, the devastation of natural disasters to refine us. To literally bring us to our knees so that we can learn that we need HIM. We cannot face this broken world without him. We cannot traverse tragedy alone. We need Him! Without tragedy we cruise through life believing we’ve got it all figured out and we are just fine managing without any help. Without tragedy we may never come to know God, we may never accept that Jesus died on the cross for our sins. We may never make it into Heaven. I think there is one more piece to this puzzle. A piece that is nearly impossible for us to understand in this world. Our time here on earth is FLEETING compared to our time in Heaven (or Hell) which will last for all eternity. 60/70/80 years here on earth isn’t even a BLINK of an eye compared to eternity. What ever we are facing right now, that thing that feels endless, like there is no hope, like it’ll never get better. When viewed in the scope of eternity it is actually shorter than the snap of your fingers. Then, if you believe in Jesus as your savior your eternity will be spent in a world without any of the terrible things we have in this world. In Heaven there is no war, terrorism, natural disasters, or illness. It is a world filled with everything we wish we had and it does not contain one thing we wish we did NOT have here. God has asked just one thing of us. No matter who we are, not matter what we’ve done, no matter what our lives have looked like there is just one thing to do. To love Him. To believe with our whole heart that Jesus is our savior. And when that holds true for you your life will reflect it. God is faithful and he loves those who love Him. Once again what I write to you is really to myself to remind me of the goodness of God and to encourage myself in the week ahead. Have a great week everyone! Encouragement for Moms: Ask Him! Right now I’m sitting at my desk giving my all to write words of encouragement to all of the moms out there that will bless me by stopping long enough to read this post. I love writing encouraging posts. Can I tell you why? It might be for less than altruistic reason. I write encouragement posts because I need the encouragement myself! Especially right in this moment. I came to my desk in the corner of my basement in order to get a little quiet space to write what is on my heart. Wouldn’t you know every single person in my family followed me down here. Yes all four of my children, my husband, and even my DOG! If one more person says… “Hey Mommy!” I just might bash my head into a wall. (Or maybe it’s the sirens from the snap circuit set they just dragged out!) It can be a discouraging to live a life that doesn’t afford you even a few moments to collect your thoughts! So I write for you and I especially write for me. Where was I? These days I’ve been thinking a lot about praise and worship. (By the way I now I have headphones in my ears with music BLASTING! My few moments of “peace” just might cause me to go deaf. At this moment I’m not sure how bad of a thing that would be). When I pray with my children I want to model praise and worship and not just… “God GIMME this and GIMME that!” A strange thing happens though when I try to bring out heartfelt prayers to honor God. Right in that moment not a word comes to mind. Sure I get out… Lord I honor you and I praise you and I worship you… and then I go dry. It sort of drives me insane. I know God can see what is in my heart but my children’ aren’t necessarily going to understand that. I’m not looking to be all flowery but I am looking to show something positive to my children. Maybe I’m just not quick with the prayer but I’m thinking I may not be alone in this struggle. God invited me to open my Bible and start looking at what He has told us about praising and worshiping Him. I asked God to show me how to teach my children to praise Him and I felt as though he instructed me to do a little digging. With the help of a concordance I simply hunted for the word “Worship” in the scripture and I was words lead to 1 Chronicles 16. My study Bible tells me verses 8-36 are a song of praise. Bits and pieces of it can be found in Psalms as well. And there it was. Laid out perfectly for me. A great model that God Himself has provided me for praising Him. I think the next time I pray with my children I’ll simply begin by reading these scripture verses out loud. When I stop and ask God to help me He does. He provided me with tools and resources to that answered my prayer. Perhaps to some my little example here is not of much consequence. Surely I could have solved issue on my own right? Well, maybe with time I might have landed in the same place. Or maybe I wouldn’t have. I do know this. Most everyone is facing something huge in our lives. Money, marital struggles, sickness… the list is long. When I’m in the practice of going to God in the small things (though I’ll argue with you that praising God is not so small)… Then it’ll be easy to go to Him with the big things. God is good and He will help us if we simply ask. 17Therefore, if anyone is in Christ, the new creation has come:a The old has gone, the new is here! 18All this is from God, who reconciled us to himself through Christ and gave us the ministry of reconciliation: 19that God was reconciling the world to himself in Christ, not counting people’s sins against them. And he has committed to us the message of reconciliation. One night a while back I was at my church for something or other. I was running errands I think, dropping something off. I wasn’t supposed to be there long but a friend spotted me and asked me if she could pick my brain. She wanted to talk to me about parenting. Okay! I’ve just got to stop right there, another mom, strong in her own right wants to pick MY brain about parenting? Can we just say I didn’t (and don’t) see myself as someone that others would seek me out to ask parenting questions. I mean, my oldest isn’t even 10 yet! Maybe some day once my children are launched into the world and, God willing, are leading lives that bring Him glory I might have something worth while to say. Until them I’m stumbling around just like any other Momma trying to figure this all out. She asked me if I ever yell. Do I ever yell? I was raised by a yelling mom… and, well.. it worked! I love my mother and we are very close to this day. While yelling is something I really don’t want to do with my children…at all, yes I certainly do fall to it more often than I’d like. It seemed to me this fellow mom carried guilt for her yelling. Some things are ingrained. I’ll probably forever be working on that one. Let me tell you as a parent, a wife, a daughter, and a child of Christ there are many things that I will FOREVER be working on. I know that when I decide I’m not going to yell any more, or I’m not going commit this sin or that sin, or I’m going to be better at this or that I often fail. I’m human! I am a fallen human. Though Christ, when I fell to my knees and decided to follow Him, he washed away my sins and created a new work in me He did not make me any less human. The trouble comes when I think of my failures and I let the internal dialog of my thoughts tell me that I’m less of person because of my faults. That’s what I do. I still do it. Or perhaps someone makes a remark that I perceive as a criticism and I hang on it, thinking about it for far too long. I stop seeing myself as God sees me, His new and righteous creation that He loves and adores. Instead I see something unlovable, unkind, even incapable. That’s not what God wants, that’s not how I want to live! The fact is I will never be perfect and if I hang on my own imperfections I’m dishonoring what God is trying to do in my life. I think mother’s today have become particularly vulnerable to attacks to the heart. Whether you are a stay-at-home mom, a stay-at-home mom trying to cobble a part-time income, a mom who works full-time or some crazy variation of of any of these things it doesn’t matter. Today we live in a culture that constantly bombards us with message that we aren’t good enough in whatever we do. If you aren’t living a Pinterest perfect life… and really who does…. you aren’t enough! Oh and even if you DO live that sort of life then that isn’t good enough either! You have to have a life full perfect balance. You should create a home and a life of beauty, creativity, and excitement. Your children should be perfectly well behaved, super intelligent, and fantastically athletic. Yet if your life is TOO good or your children are TOO perfect… well then you must be fake. Women turn these things into an internal dialog. They start to tell themselves that whatever it is that they do it isn’t right. It isn’t enough. They’re too much like this or too little like that. You work too much!/You should contribute to the household income. You homeschool and your 5 year old hasn’t graduated college yet?/Wait… don’t push those kids too hard.. start school later it’s better for them. You’re home is too clean! Don’t you spend any time with your kids?/Your house is a mess! Why can’t you keep it clean? You must pay attention to your husband!/Don’t you know you need time for yourself! I could go on! But I won’t. I know I’m not the only one who can get down on myself when I can’t make myself live up to my own (or the world’s imaginary) expectations. I hear women talk of these things all of the time. I will tell you this… if you are walking close with God then you are living the life that He has laid out for you. You are loved and you are perfect in His eyes. He does not want you dwelling on these crazy thoughts that you are doing things right. If you are walking in obedience to God you can stop worrying. Take these false ideas, these negative thoughts, wrap them up in a bundle and give them to God. He’ll take care of them for you. Then revel in the freedom of living life without the weight of the negativity. My oldest son Noah is 9 and yet he still a total love bug with his Mommy. I’m cherishing these days because I know the “Mommy is so stupid and just doesn’t understand” days are right around the corner. Last Saturday I was trying with all of my might to sleep-in. After all, the baby was still asleep so I wanted to be too. I heard our bedroom door open. I hoped against hope that if I just lay still whoever it was might decide to get their own breakfast because, afterall, I’ve taught them how to pour a bowl of cereal and toast a bagel. I realized it wasn’t meant to be as I could ear tip-toeing around to my side of the bed followed by the not so sweet morning breath of someone breathing right in my face. Before I opened my eyes I heard… “I love you Mommy!” It was my Noah. I teared up! As much as I wanted to stay quietly in bed this little guy had just said the perfect thing to make me change my mind. I hadn’t done anything yet that day to earn his affection yet there it was. As the day wore on and I eventually made it to my Bible reading a thought struck me. The way my Noah loved on me first thing, isn’t that what we should do for our heavenly Father? Shouldn’t we love on Him who has given us everything before the clutter of the day starts to invade our days? After all… what is the greatest commandment? My little boy teaches me much! I know it probably seems so simple and so obvious. God wants us to live with selfless love and kindness but this certainly doesn’t come easily to everyone. Especially children! Selflessness is often a learned skill. This morning my 4 year old came screaming into the room. She’s a bit of a drama queen (as most little 4 year olds girls are) so I have to admit I wasn’t overly concerned but of course I did ask her what was going on. It turns out her big brother called her a pest and this hurt her deeply. I called my son into the room to get his side of the story. Sure enough it was true. I wanted to just bark at him to not say things like that because it hurts her feelings but God nudged me to take it a bit further. I grabbed him up in my lap as best I could (he’s getting big) and I started talking about Jesus’s selfless act on the cross. How He came to earth to serve us and display a selfless love and how we are to do our best to emulate Him. I talked about how God is teaching ME selfless love through being married to his daddy and how God is teaching HIM selfless love in his role as big brother. A few moments later the two of them were playing playmobile together. And tomorrow I will likely have to repeat the whole thing again! Such is the life of a Momma! Jesus is our ultimate role model for selflessness and God teaches us to be selfless through our marriages, parenting, and serving others in all facets of life. Praise your children when they show selflessness. Let them know you notice. Let them know that putting others first is the Godly path. Encouragement for a Mother’s Heart….When You Are Tired! My baby was awake at 3am this morning. Thankfully it wasn’t one of those long crying jags nothing seems to fix. But she was restless and semi awake the rest of the night. Guess what, that meant I was too. We’ve had a cold in the house for the last week and half. Someone is awake hacking the night away most nights. Guess what, that means I’m awake too. A standard day has me running to countless places… swimming, karate, field trip, doctors appointments, you name it. This makes me tired. The baby will be ready to again soon. And then again and again and again. I think she’s growing. She’s more attached than not these days. By the time bath, bed, and a book time rolls around tonight I’ll be weary. This week I’ve got a lot of extra chores on my plate because we host Thanksgiving. I have a husband who deserves some attention. It’s pouring rain down as I speak… how I long for some warm sunshine. There is snow in the forecast… where is my shovel? MOM’s we are EXHAUSTED! We try so hard to be supermom but really we are just worn. We walk around acting like everything is ok. We feel like failures because we can’t do it all. But we aren’t failures. We are normal human beings. We need to ask for help! Ask your husband to cough up some dinner one night. Even one night can be such a blessing. Pop in a movie for your kiddos and take a nap. I promise it won’t rot their brains. Don’t worry about having a picture perfect house. Some dust bunnies, dishes in the sink, and unmade beds aren’t going to harm anyone. It doesn’t make you a poor mom. Have enough energy for you children and your husband is way more important. Reach out to the Lord. He can give you that energy you need to make it through the day and the crazy times. He knows how you are feeling. Psalm 46:1 says… God is our refuge and strength, a very present help in trouble. 1. The Ministry of Motherhood: Following Christ’s Example in Reaching the Hearts of Our Children by Sally Clarkson. While this book isn’t exclusively for homeschoolers by any stretch Sally Clarkson did homeschool all of her children and it certainly shows. Reading this book really opened my eyes to the great task God has called me to in raising, discipling, and educating my family. My children are my ministry and not something that gets in the way of the real work. They are the real work! Called Home: Finding Joy in Letting God Lead Your Homeschool by Karen DeBeus. I know many moms who feel called by God himself to homeschool yet they still come to it kicking and screaming. Ok, actually I’m talking about myself in a lot of ways here. This book will help you keep your focus on who is really in control of your life and your homeschool… God Himself! Grace for the Homeschool Mom by Tamara L. Chilver. Homeschooling moms are notorious perfectionists. I fit that category well. I can be so hard on myself when something doesn’t turn out as I expect. I constantly fear failure in my family’s homeschooling journey. This book addresses the most common lies, fears, temptations, traps, and pitfalls that homeschool moms face. This is one I reread often! Secrets of a Successful Homeschool Mom: A Manifesto of Freedom and Joy in Home Learning I think to be a mom is to have insecurities. I think those insecurities have a greater chance of getting the best of you if you homeschool too. We live in a world that tells us only experts have all of the answers and only they are fit to educate our children. We can feel defeated and throw in the towel because of self-doubt. Often we are our own biggest obstacle to success! What if all of that wasn’t true? What if we have the key to a better way. This book will help you gain your self-confidence in your homeschool journey. Teaching from Rest: A Homeschooler’s Guide to Unshakable Peace I have four children. We are constantly on the go! The youngest is just weeks old right now! I’m not sleeping much these days. There is so much to do. There is so much to teach. God has blessed us with a wonderful home that must be taken care of. I have a loving husband who needs a wife that pays attention to him at times as well. It could be so easy to just become overwhelmed. This book will help you overcome and take each moment one step at time. Lies Homeschooling Moms Believe I love Todd Wilson, the author of this book. His humor and insight are a light in this world. This is a fast read that will have you chuckling out loud yet giving you a fresh perspective on this homeschooling life! 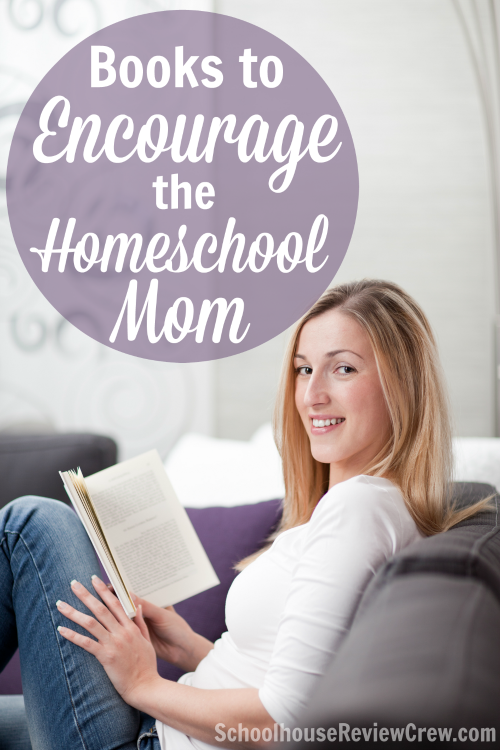 Would you like to see what books other homeschool moms recommend? 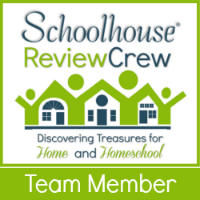 Go ahead and click on the image below to see what members of the TOS Review Crew picked as their favorite books to encourage homeschool moms. Encouragement for a Mother’s Heart… You Are God’s Creation! You Mom are one of God’s own wonderfully made masterpieces. Ok does anyone else get sort of uncomfortable when they hear (or read) that? How on earth can I be one of God’s wonderfully made masterpieces when I have so many flaws? When I fail so miserably time and again even though I try so hard not to? I mean really, would one of God’s masterpieces really yell at her kids in frustration the way I just did… even though I promised myself I’d get better at that? The answer my Mommy friend is yes! YES! Flaws and all you are a creation of God! He made you just who you are and He marked all of your days at the start of creation. He knew what your flaws would be and He will use them as a part of His will to create His beautiful tapestry in this world. YES! God can USE your flaws. He’ll use them to convict you, to shape you, to shape others. He will use them for His glory. God is not disappointed with you. He delights in you! He is changing you and empowering you to be who he created Him to be. Praise him for it! Wisdom! As mothers (and maybe even more so for homeschooling mothers) we are expected to be all wise and know just what do in every situation. We should know how to heal every hurt whether it be of skinned knee variety or the broken hearted sort. We should know how to cure every illness. and mend every lost button. We should know just where our children left that precious toy of theirs and where they might find those missing pants they need… RIGHT NOW! We should know how to encourage our children to chase their dreams and how to pick them up when fail. We should know just what to do to teach our children to be wise and discerning. The list of places a mother should hold vast wisdom is endless… and maybe exhausting and overwhelming. No one person can know so much. But there is one who does that would our all knowing, all seeing, all hearing God in heaven. This week you and I are bound to be presented with a million challenges. When you find yourself uncertain trust God. Pray and ask and He will give you discernment.